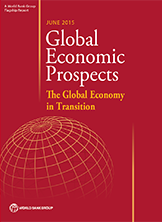 WASHINGTON – Amidst predictions of tough challenges in 2015 for developing nations was some good news for India as the World Bank, today, released its latest Global Economic Prospects (GEP) report. As China’s economy slows, its growth is still likely to be robust at 7.1 percent while India’s is predicted to reach 7.5 percent. This would mark the first time Indian economic growth surpassed that of its powerhouse neighbour and rival. The World Bank’s projection exceeds the Indian government’s own expectations, last year, by some two percent, which is nothing short of extraordinary. India’s economy grew by 6.9% in 2014, which was considered high. Many didn’t expect such an increase to be sustained let alone be beaten. Indeed, the IMF had predicted only 6.4% growth. “With an expected growth of 7.5 per cent this year, India is, for the first time, leading the World Bank’s growth chart of major economies,” said Kaushik Basu, World Bank Chief Economist and Senior Vice President. India’s growth, which accelerated after the Narendra Modi government was elected last year is especially positive given that global growth isn’t what it used to be. “Global growth hit a soft patch at the start of the year,” the report begins. The report forecasts global growth to be 2.8 in 2015, which is less than a third that forecast for India. Oil exporting nations like Brazil should expect a dampening of growth due to lower than expected oil prices. But this is good news for India, which is an oil importer, as lower oil prices mean lower cost of exports. It also means that domestic prices of goods should be kept in check. And, the buying power of consumers will be buoyed. India began an era of hyper-consumerism at the turn of the century, which had never before been experienced in its young history, though this was threatened after the global economic slowdown of 2008. Inflation has been an issue ever since. Falling oil prices have eased monetary constraints across the board in oil-importing counties. This has curbed inflation and eased current account deficits. Inflation had climbed to double digits during Manmohan Singh’s tenure as Prime Minister and, coupled with administrative deadlock and lack of leadership, caused a decade of stagnation. With inflation in check, the engine of the Indian economy is expected to purr. China’s slowdown while ‘carefully managed,’ according to experts was ‘deeper than expected,’ the report says. One factor putting pressure on the economy is that China still faces deep credit risk. Analysts have been predicting a credit meltdown in China for some time now, and while the government has put in place mitigating measures, its problems have far from abated. China’s steel and coal industries (mega-industries, really) currently have excess capacity – and this too, casts a shadow on its economic outlook. Another souring factor is that net capital inflows have reversed after a period of record foreign direct investment (FDI). FDI in India, which increased by a record 26% in 2014, may be poised to pick up further with the recent deals in nuclear power as well as planned increases in foreign ownership of sectors such as insurance. Modi’s ‘Make in India’ program is also expected to attract further investment. Brazil, which has been a growing economic power and like India seeks a permanent seat on the UN Security council, has recently been struck by scandal. This, in turn has affected the World Bank’s outlook for South America’s largest country. “Brazil, with its corruption scandal making news, has been less lucky, dipping into negative growth,” said Basu. Global growth expectations deflated this year and remain grim as are prospects in general for developing nations, India being the only big exception. “Global growth has yet again disappointed,” said Basu. The bank does expect global economic growth to increase by some five basis points to 3.3%, next year. This would be notwithstanding expected adjustments in emerging markets as the US Federal Reserve moves toward raising rates. Developing countries may be facing serious difficulty in 2015 if the United States increases its interest rates from record lows, as expected. Borrowing then would become more costly for these economies, said the World Bank in its report. When this occurs currencies including the Rupee will likely fall against the Greenback. Developing countries as a whole are expected to grow by 4.4% this year, and this will likely increase by a percentage through to 2017.. The last version of the report issued in January predicted higher growth in India and this has transpired. World Bank President, Jim Yong Kim credited improved growth to the leadership provided by Narendra Modi. 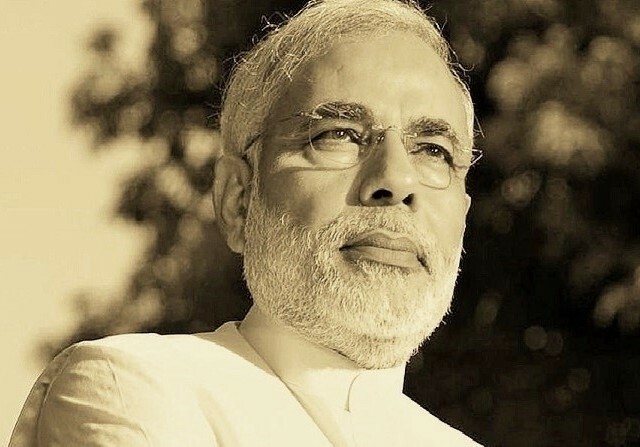 Last month, he said that the “strong visionary leadership” of Prime Minister Narendra Modi has resulted in “extraordinary effort” by India on financial inclusion of its people.